On the campaign trail, Donald Trump said he sympathized with America’s 44 million student debtors and vowed to make their burdens easier. Trump also promised to ensure that debt loads would be limited by students’ ability to repay. Student loans shouldn’t be “an albatross” hung for life around their necks, he said. But since the election, the president has been quiet on student debt. And two recent moves suggest the administration is headed in the opposite direction, helping the student loan industry at the expense of borrowers. The most recent move came Tuesday, when Education Secretary Betsy DeVos scrapped a set of rules intended to shield borrowers from some of the worst abuses of the student debt collection industry. Today, America’s student debt load is upward of $1.3 trillion – more than the nation’s credit card debt. As an investigation by Reveal from The Center for Investigative Reporting concluded last year, student loans have become the worst kind of debt for Americans – and the best kind for banks and debt collectors. For years, student debtors have complained bitterly about collection abuses: barrages of harassing phone calls, retaliatory lawsuits, even aggressive collection campaigns targeting people whose loan payments were current. In the waning days of the Obama administration, education officials sought to make reforms. They imposed new rules that, among other things, would make it more difficult for loan collection companies to win lucrative loan servicing contracts from the federal government if they were guilty of abusive practices. Those were among the rules DeVos scrapped, saying they lacked “consistent objectives.” The student loan industry had been lobbying Congress on the issue, contending that the Obama rules might be unnecessarily expensive, Bloomberg News reported. “Secretary DeVos – with the stroke of a pen – has reinstated the Wild West of student loans where servicers get to play by their own rules, and borrowers get fleeced,” Randi Weingarten, president of the American Federation of Teachers, said in a statement. The rule change could benefit the student loan powerhouse Navient, formerly known as Sallie Mae. Shortly before Trump took office, the federal Consumer Financial Protection Bureau sued Navient, accusing the firm of a long list of improprieties and deceptive practices in collecting and servicing some $300 billion in student loans. Illinois and Washington state also sued. The company denied wrongdoing. The new rule change makes it less likely that Navient will lose federal loan servicing contracts, even if it is found liable in the lawsuits. 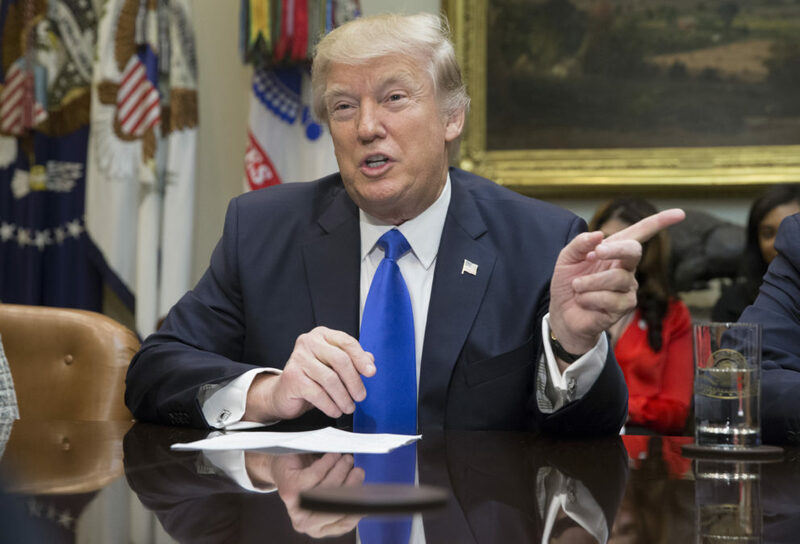 Trump also has proposed cutting $5.2 billion from the federal Pell Grants program, which has provided scholarship aid to millions of needy college students. The proposed cuts are draconian and threaten the existence of the Pell Grant program, said Lauren Asher, president of The Institute for College Access and Success. The cuts would “push students deeper into debt,” she predicted, as students would borrow more money to make up for lost financial aid. Contact Lance Williams at lwilliams@revealnews.org. Follow him on Twitter: @lancewCIR.